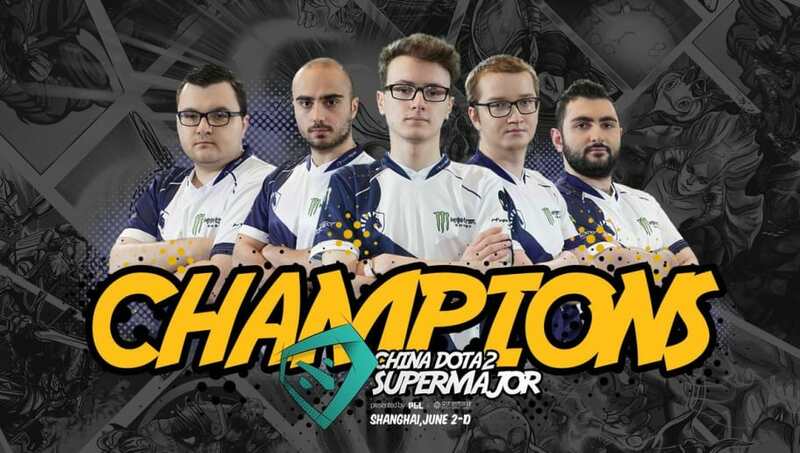 ​Team Liquid is the China Dota Supermajor champion, as it took a close 3-2 victory over Virtus.pro in the grand final. ​​Team Liquid stayed in the upper bracket throughout the tournament, starting it off with a 2-0 record to qualify as the​ first team out of Group A, a group with Newbee, Team Spirit and Natus Vincere. Team Liquid was 4-1 overall in matches in the group. Team Liquid continued their run with a number of 2-0 victories in the upper bracket. The team beat TNC Pro Team, Team Secret and PSG.LGD in its run up to the grand final match. Team Liquid secured $555,000 and 1,125 points on the Dota Pro Circuit, more than enough points for the already qualified team. The win here marks the team's fifth in the season after winning The International 7. Things looked very shaky after one of the team's​ worst showings of the year at the ESL One Birmingham Major, but Team Liquid bounced back with a win in the biggest tournament of the year.